WE HELP YOU DEFINE YOUR OWN FUTURE AND MAKE IT HAPPEN! A journey that began in the year 2003 has seen us grow to become the most preferred Education Brand in the School & College segment. Our expertise in the areas of Career Development, Academic Support and Preparation for Competitive Exams have helped millions of students across the Country. GURUKUL will be the precursor in leading the transform in an utterly fragmented and unstructured learning atmosphere. The activity centers in India lack in basic infrastructure amenities and follow no curriculum. GURUKUL will be the most sought after learning center in India. We are dedicated to make career of each & every individual by making them expertise in whatever field they are. IntelleSecure specializes in Information Security, Governance, Risk & Compliance. 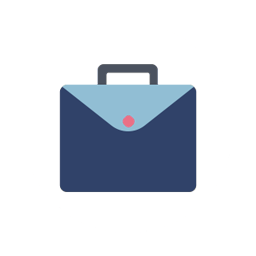 With presence in India and the Middle East, IntelleSecure carries the experience and presents the expertise on everything from security awareness to creating security policies; from penetration testing to disaster recovery planning; from ISMS implementation to Sarbanes Oxley compliance. All of us have had our own special moments during our Life @ MVJCE. Am sure many of us would have captured some of those most precious moments in our cameras. Please post your nostalgic memories onto our alumni portal and tag your batch (Eg: #BE2009, #MBA2014, etc.). The batch which posts the maximum number of images (with tags) would be the winner. Come on MVJCEians, let's show our batch strength! MVJ College of Engineering, Innovation and Entrepreneurship Development Cell organized a three day Entrepreneurship Awareness Camp. The programme was funded by National Science and Technology Development Board, under DST-NIMAT project of Department of Science and Technology, Government of India supported by Entrepreneurship Development Institute of India. The participants of the camp were higher semester students from science and technology background. The programme was conducted in MVJCE premises. The programme included sessions on different aspects of entrepreneurship including a factory visit to a small scale industry. The resource persons included entrepreneurs, intrapreneurs and people from eminent government body like SIDBI. The Three day camp concluded with a valedictory session and a humble vote of thanks. The Camp was inaugurated by Prof.Bholanath Dutta, President – MTC Global. Objectives of the camp were presented and the speaker emphasized the Importance of Innovation and Entrepreneurship. The speaker provided insights on entrepreneurship, who is an entrepreneur, qualities of entrepreneur, entrepreneurial success. He also spoke about startups with real time examples. He also cited the examples of successful entrepreneurs. Inspiring videos on lead India and innovation elicited students’ response. The session was highly interactive. The third session was on the topic “Emerging startup culture in India & Success stories of Indian Start ups. Mr.Harshit Srivastava, CEO of Intugine, a Bangalore based Startup Concern. He spoke about why t startup, trend of startup in India, incubation centers in universities and colleges, role of Government in promoting startups, business accelerators like NASSCOM, technology support and few success stories of startups. Mr.Soumyadas - Co-founder of Attest, a startup concern delivered a session on “Risks and Challenges faced by entrepreneurs.” He explained on the ten different aspects that would be considered as risks and challenges for an entrepreneur. He also elaborated the ways to manage those risks and challenges. The second day of the camp was to visit a factory. The participants were taken to Sirius Controls, a Small scale industry. Sirius has been manufacturing battery chargers since 1986 and has over 60,000 chargers working in India and overseas, in the last 25 years. All Sirius products are designed, verified and validated in-house by a vibrant team of engineers which is well versed in the needs of the Traction and Automotive industries. Students visited all sections and departments of the factory and observed the organizational process. Students were divided into batches and the processes were clearly explained by the coordinators from the factory. An internal brainstorming activity session was conducted after returning from the factory. The discussion was about campus startups. Few students who are running their own startups shared their views on how to startup as a student, what are the challenges faced and advantages of starting up early. Prof.Ravi, Director – Corporate Affairs & Placements, MVJCE conducted an activity session on Idea Generation and Screening of Ideas. Prior to the activity he provided ways to generate ideas and how to screen the ideas based on viability. A common topic on solving traffic issues was given to student groups and they were asked to generate ideas, evaluate the ideas and shortlist the top three ideas that would solve the problem. Student teams actively participated in the task and came out with their innovative, crazy ideas. Prof.Ravi also highlighted the advantages of being an entrepreneur and choosing entrepreneurship as a career path. A session on “Guidelines for Preparation of business plan and Project report” was delivered by Mr.Rajesh Badgeri, Co-Founder & COO at iReff, a startup concern. He elaborated nine important components of a business model starting from value proposition to cost structure. The speaker presented a precise outline on how to prepare a project report. Mr.Anadi Charan Sahu, General Manager ,Small Industries Development Bank of India ,Karnataka provided valuable insights on Micro, Small and Medium enterprises, different types of funds required to run a company, ways to source funds. He spoke about SIDBI and presented various scheme of SIDBI to support the entrepreneurial ecosystem in India. 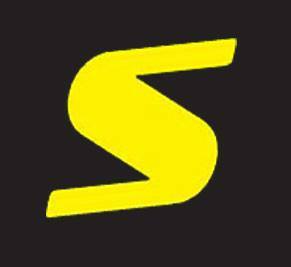 Mr.Sahu also provided useful links for knowing about startups, registering startup. The session was highly interactive and the speaker clarified various questions on availing funding support. The concluding session of the EAC was the valedictory session. Mr.Anadi Charan Sahu, GM-SIDBI, gave the valedictory address and the function was presided by Prof.M.Brindha, Vice Principal and Prof.Thyagarajan – Director, Research and Development, MVJCE. The participants and coordinators were awarded with the certificates and the programme concluded with feedback and vote of thanks. Anti-tobacco Rally (April 2015) :The chief guest Sri U T Khader, Honorable minister for health and family welfare, Govt. of Karnataka and Dr. Vishal Rao, Surgical Oncologist inaugurated and flagged off the rally. Sri U T Khader, appreciated the college and organizers for their initiatives for this noble cause. Dr. Vishal Rao, Surgical Oncologist, shared his experience in treating cancer patients, and expressed his concern in increasing number of victims for tobacco related diseases and also appreciated the youth for taking initiatives for creating awareness on ill-effects of tobacco products. Plastic free zone (Mar 2015) : MVJCE took an initiative to create awareness on harmful effects of plastics on the environment, with an aim to make the college and its surrounding area as Plastic Free Zone. The main motto of the program was to eradicate the use of plastic. The staff and students of the college were actively involved in the program. Ray of Hope (May 2016) : A cultural program for advance stage cancer patients. The Students of MVJCE, as a part of NSS activity visited and performed cultural programmes at “Karunashraya – An abode of Compassion”, which is a charitable trust by the Indian Cancer Society (Karnataka Chapter) and Rotary Bangalore Indiranagar with an aim of providing free professional palliative care for advanced stage cancer patients who are beyond cure. MVJCE organizes yearly cultural fest “Swayam” in the month May. This year it was conducted on 4th and 5th May, 2016. The varieties of events received student registrations for it from more 25 colleges across Karnataka. 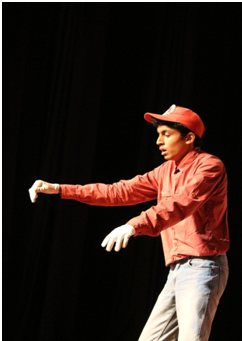 Just Dance, Battle of Bands, Framed Perception, Counterstrike, Group Dance, Director’s Cut, Voice of Swayam and Gully Cricket were some of the popular events. 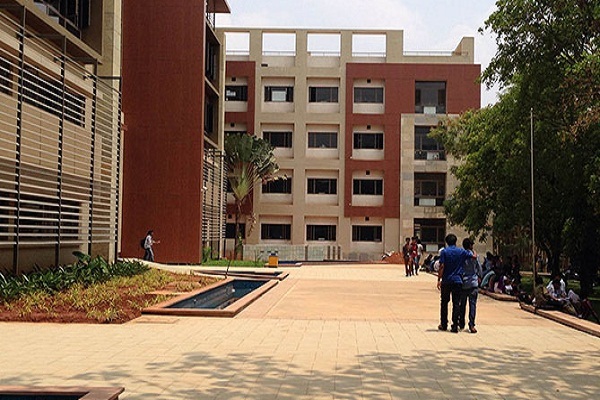 MVJ College of Engineering, Bangalore, organizes its “Founder’s Day” on 17th May of every year to honor and to pay homage to the institutional founder Late, Dr. M V Jayaraman. 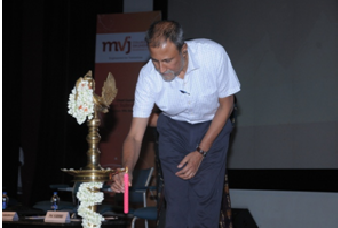 The occasion in 2016 was graced by honorable chief guest, Dr. Ravi Subramanyam, Director Raman Research Institute, Bangalore. Dr. M V Jayaraman, the founder of MVJ group of institution was a teacher-scholar-musician. Above all, he was a visionary. He sought to deliver value and excellence in education across disciplines. He founded the Venkatesha Education Society. The chief guest Dr. Ravi Subramanyam expressed his gratitude towards the management of the institution for inviting him and giving him the opportunity to be the part of the occasion. He delivered a talk on “Engineering Excellence for Exploration of the Cosmos”. He highlighted the achievements of Raman Research Institute in exploring the early universe. He also emphasized on how engineering is applied in understanding the universe and opportunity available for students in this field. He threw light on advancement in space science and stated “Research is not just done by scientists but also by the Engineers”. The occasion witnessed the felicitation of sports achievers who bagged prizes in Judo Competition, followed by the academic toppers from each year of various engineering branches and polytechnic. The students who have scored 100 marks in VTU examination and secured 100% in DTE examination were also awarded with cash prize and certificate of merit. The faculty members were also honored for securing 100% student results in their respective subjects. Prof. Gupta, Head of the Department – Aeronautical Engineering received award for the best paper publications in International Journal. MVJCE successfully hosted two days VTU level Judo and Wrestling Tournament on 19th and 20th, October, 2015 in Kormangala Indoor stadium. The valedictory programme of the tournament was held in MVJ college on 20th October, 2015. Shri. P.M. Somashekar, Vice Chairman of Sports Authority, Karnataka was the Guest of Honor. In his address, he appreciated the university and MVJCE for taking interest in sports especially in Judo and Wrestling and encouraging the young people to take part in such events despite of being a professional college which would normally do not involve themselves in such activities. He extended his generous support through sports authority for the development of sports. Forty eight winners of various levels were felicitated by certificate and medals. MVJ college of Engineering, Bangalore won the championship in Judo, and Wrestling championship has been bagged by KLSVDR Institute of Technology, Haliyal. 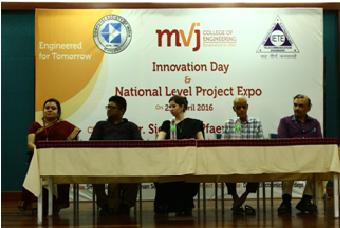 With the idea of making MVJCE as a “Hub of Innovation”, the college organized a three day intensive technical workshop on “Tomorrow's Engineers” from 11th to 13th March 2016. About 45 students and 15 faculties of MVJ College of Engineering participated in the workshop. 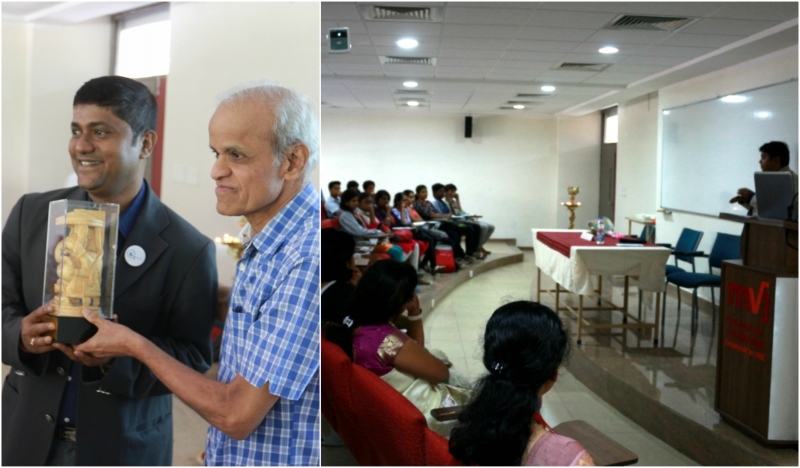 The workshop was inaugurated by Honourable Chief guest Dr. Krishnaswamy Kasturirangan, chief of Indian space research organization (ISRO) between 1994 to 2003. He is a recipient of top civilian awards of India like Padma Shri (1982), Padma Bhushan (1992) and Padma Vibhushan (2000). The objective of organizing the event was to inculcate lot of positive thoughts and explore current opportunities. Padma Bhushan Dr. B. N. Suresh, the president of Indian National Academy of Engineering and Chairman of Governing Council of MVJCE, and Dr. Kota Harinarayana, popularly known as Father of India's Light Combat Aircraft (LCA), and Dr. K Sudhakar, Professor, Aerospace Engineering, IIT Bombay were the experts who conducted the workshop. 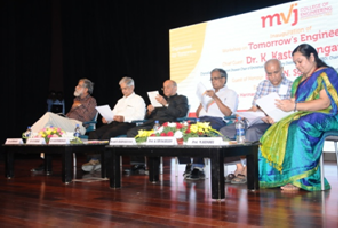 Delivering the inaugural address Dr. Krishnaswamy Kasturirangan, profusely appreciated the college authorities for organizing this programme and selecting an important topic to motivate our young students. He recalled his academic initiatives and work experience while working with Dr. Vikram Sarabhai, the leader of Indian Space programmes which provided crisp motivation to our student engineers to take high end challenges in the scientific and technical arena. He advised budding engineers to design high-tech solutions in a low cost environment to meet Indian and global challenges. 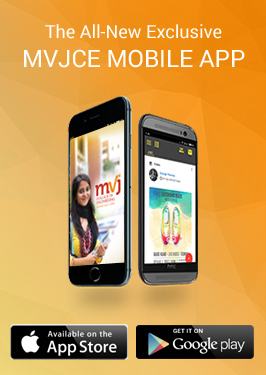 MVJCE always encourage the creative ideas of the emerging engineers. The college organized a National Level Project Expo and Competition on 29th April, 2016. The event was inaugurated by Dr Sieglinde Pfaendler, Manager of Innovations, Robert Bosch Engineering and Business Solutions Pvt. Ltd. She addressed the gathering and spoke about the importance of innovation and inventions. Registrations were received from many parts of the country, from which top 50 projects were selected and were categorized into three broad areas: Computer Sciences, Electrical Sciences and Mechanical Sciences. The projects were evaluated by eminent judges from corporate. The valedictory function was conducted on the same day after the project expo. Three best projects from each of the categories were selected as the winners and were awarded with Rs.25000 cash prize each. Commendation prizes of Rs.5000 each was also awarded to nine other projects.